Forget France and Italy, Australia’s wines more than stand up to the traditional icons of the industry and have fun while doing it. Australia’s landscape is as rich as a painter’s palette, undulating from luscious green valleys and salt-licked coastlines to mountainous terrains and dry, golden plains. This diversity is reflected in its vineyards too, each wine region (there are over 60 recognized in Australia) speaking volumes of its own terroir – the soil and surroundings which make it unique from the next. Whether it’s a sprawling, manicured estate with a world-class restaurant, or a boutique tasting room (cellar door) with a chugging wood-fired pizza oven, Australia’s wineries offer wines filled with personality and passion. Interested in some add-ons? Cellar doors are rounded out by craft breweries and distilleries, galleries, live music and enough cafes and restaurants to set you up for a gastronomic adventure to remember for a lifetime. Tucked into the isolated south-west corner of Western Australia, three hours’ drive south of Perth sits Margaret River, where visitors are spoiled with surf and sand, fabulous food (time your visit around the Western Australia Margaret River Gourmet Escape in November, it’s a food festival of a lifetime) and chardonnay that is rich, buttery and utterly unforgettable. Margaret River is made up of six sub-regions – Wilyabrup, Yallingup, Karridale, Wallcliffe, Treeton and Carbunup, which are roughly defined by their differences in soil. To make sure you don’t miss anything, follow the three-day Margaret River Wine Trail taking in experiences at the wineries of Vasse Felix, Leeuwin Estate and Voyager Estate and staying at Cape Lodge, one of Australia’s most celebrated vineyard lodges. Some other boutique highlights in the Margaret River region include Cape Grace Winery, Ashbrook, Wills Domain, Pierro and Moss Wood. Sheltered beaches, wind-swept bluffs, salty plains and rich soils make South Australia a one-stop shop for travelers, the best bit being that some of its most exciting wine regions are just a short 30-minute zoom from Adelaide. Rich Italian roots and a matching Mediterranean climate are on show in coastal McLaren Vale, where crisp white varieties such as fiano and vermentino sit alongside Australian classic reds, shiraz and grenache. Don’t miss a stop off at Adelaide’s Willy Wonka-style D’Arenberg Wine Cube. Don’t miss Oliver’s Taranga Vineyard’s famous porchetta parties, a visit to d’Arenberg’s arty Wine Cube, which explores all the ways wine influences our senses, or a tour of Wirra Wirra’s biodynamic vineyards. Just outside the city lie the Adelaide Hills and Basket Range, ground zero for the experimental natural wine scene, where young winemakers use wild yeast and skin-contact fermentation to add texture and looseness to their production – check out Ochota Barrels. But there are the established greats to explore too, and you should indulge in a tour, tasting and lunch at Penfolds Magill Estate or linger at The Lane Vineyard’s Chef’s Table lunch. No visit to South Australia is complete without swinging by the Barossa Valley, home to Australian culinary icon Maggie Beer and a swathe of other top food producers. Head to some of the country’s oldest estates such as Jacob’s Creek and Henschke. Fill your suitcase with cabernet sauvignon, grenache and shiraz, and drink your ‘year of birth’ vintage tawny at Seppeltsfield Wines. Victoria’s wine regions may be smaller in size, but don’t underestimate their potential. Cool-climate Yarra Valley has many different grape varieties and it’s also close to Melbourne (about an hour’s drive). Stock up on vibrant sparkling at Domaine Chandon, and silky pinot noir and chardonnay at Oakridge. The Mornington Peninsula’s rolling hills and ocean views are home to plush hotels, contemporary art collections and ultra-modern restaurants; Montalto has a 30-piece sculpture trail that winds its way among the vines. In the Alpine region (yes Australia does have snow!) of Victoria four hours’ drive north of Melbourne, there are several outstanding valleys of incredible wines. An oenophile’s paradise is formed in the triangle between the gold rush heritage town of Beechworth (which could be the cutest town in the country), Bright and Milawa. 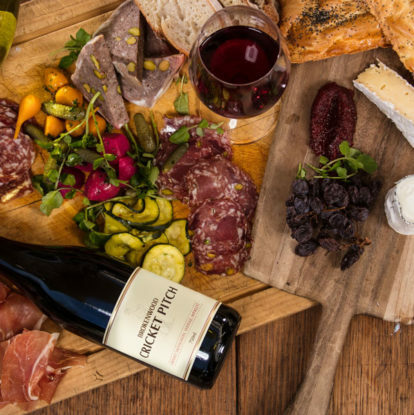 It’s worth having a sip or three at boutique Pennyweight Wines and Haldon, then enjoy a tasting followed by a lunch to remember at Brown Brothers. In the same region but one valley over, the King Valley’s Prosecco Road offers exactly what its moniker suggests, at least until the Italian DOCs get their way and force the region to rename its Italian sparkling. Tasmania’s cool climate results in wines with crisp brightness and elegance – especially sparkling and its ingredients chardonnay and pinot noir. The entire island state’s eastern coast is a cornucopia of quality boutique wineries, each with a story and stunning wines. The epicenter of Tassie’s (as locals call it) wine is the bucolic Tamar Valley, which hugs the Apple Isle’s (another nickname for Tasmania) second largest town, Launceston, on the northern edge of the island – about 2.5 hours’ drive from Hobart. This is home to the very serious Australian sparklings and the Aussie attempt to take on the French reaches its pinnacle at House of Arras. Other standouts in the Tamar include Jansz, Bay of Fires, Clover Hill, and Pipers Brook. When the sparkling bubbles has numbed your taste buds, drop in Tamar Ridge for some seriously fine riesling. For something unique, go fly fishing at Josef Chromy Winery, 2.4 hours’ drive from Hobart. The Hunter Valley, just 90 minutes’ drive from Sydney, pumps with tourists year-round, which can either be a bit claustrophobic or a whole lot of fun depending on your outlook. Everyone from Shania Twain to Florence and the Machine light up stages at big-budget concerts in the area each summer, and there are golf courses and spas galore. Aside from the entertainment, a visit to the Hunter is a chance to sample the wines of some of Australia’s biggest and oldest names, such as Tyrrell’s Wines, Brokenwood Wines, Mount Pleasant Wines and Tulloch Wines. This is the region for shiraz and semillon – both of which evolve beautifully in the cellar – but at the other end of the spectrum, the smaller region of Mudgee, 162 miles north-west of Sydney, is ideal for those who prefer a slower pace, as well as cool-climate rieslings and fantastic food. In Queensland, the town of Stanthorpe is home to more than 40 wineries producing over 20 ‘Strange Birds’, wines made from alternative grape varieties like sylvaner, nero d’avola and petit verdot. If you know your pinot noir clone 113 from your 777 and are looking for some seriously deep, exclusive and knowledgeable experiences around wines, then you are probably a candidate for the Ultimate Winery Experiences, a collection of exclusive wine-based experiences for the enthusiast and professional. Stay at COMO The Treasury and taste award-winning wines and produce with the Millbrook Winery Experience day trip. Prices per couple for a 2-night stay, return helicopter flights to the winery and more..